I'm posting the short dream report that follows less for the content - though I find that mysterious and intriguing - than for the experience that immediately followed, which was of being able to shift back and forth between two orders of reality without reality confusion. This is a useful skill to develop, as we grow the practice of active dreaming. Five women, all striking and statuesque, with different features and coloring, are setting out from the island of Britain. They seen much larger than lifesize, almost like Britannia figures floating above the waves. One is going north from the coast of Scotland, one is heading east from East Anglia, one is going south towards France form the English coast, another is going southwest from Cornwall, and one is striking out due West from Wales. I wake from the dream in early sunlight and glance around my bedroom. When I close my eyes, the scene of the goddess-like women skimming the waves is there before me, as vivid, perhaps more so, than before. I watch them from high above. I open my eyes and again inspect my bedroom. I close my eyes once more to check whether the action is still in play over those northern seas. It is. I test this yet again, switching between open-eyed perception of the sunlit morning world around me and the continued movement of those majestic women across the waters when my eyes are closed. There is no confusion of realties here; rather, the awareness of dual realities, both accessible in the same state of full consciousness, with the eyelids as the curtain that opens one and closes the other. As for the dream content: I have strong family and personal connections with Britain, and was recently in the UK, where I spent several days in Cornwall, the birthplace of my maternal grandmother. I think a lot about goddesses, and am now on my way to teach in Lithuania, where the religion of the Great Goddess - as beautifully expounded by the great Lithuanian scholar Marija Gimbutas - flourished longer than in any other European country. On my last visit there, I saw the Neringa (the spit of land, famed for its giant sand dunes and summer writers' cottages, that shields the Lithuanian coast from the wild Baltic) as a living godddess. In a provocative comment on my post on "Meeting a Self that Took the Path Not Taken" Leanne invites us to expand our understanding of the nature of the multiverse and the multidimensional self. Instead of thinking about paths not taken in this life, she suggests, we might reflect on the possibility that, in our greater self, we have experienced all possible paths, and can tap into that. "If we switch the thought to the the paths all taken, it becomes such an invitation for exploration, for reflection, for forgiveness, for healing, for understanding and ultimately, I believe, for a true expansion and rethinking of identity and of the egoic self. You invite us to open our minds to a larger self, outside of our name and current identity and to embrace all choices as being experienced." When the journey begins, you will find yourself approaching that crossroads you remember from your earlier life. This time, you will take a different road. You will follow your alternate self along that alternate life path, all the way to the present moment in time. One traveler pursued an alternate event track on which, instead of marrying and having kids early, she pursued career and higher education, becoming a U.N. interpreter and eventually founding her own successful business. She saw herself giving speeches in no fewer than five languages. She had some romance and excitement on this trail, but found herself - at her present age - living alone and feeling lonely, amid the trappings of success and affluence that surrounded her. She told us this experience left her glad she made the choice that she made, and also glad she could now feel she had not missed out on that alternate life as the international career woman. "Now I really feel I've lived both lives." Asked whether she could bring gifts of her alternate self into her present life, she said she'd get on with working with some French language tapes, with the aim of making herself fully bilingual, as her parallel self had succeeded in doing decades earlier. She felt that her language skills might grow faster now that there was some conscious convergence with that other self, the globe-trotting linguist. Another traveler who had never married or become a mother found herself going back to a crossroads she reached in her teens, when - in the life she remembered - she decided not to go back to the boyfriend who was waiting for her in California after spending the holidays with her family on the East Coast. Following her alternate self who DID go back to the boyfriend, she found herself participating, very vividly, in a life that included going to grad school with him, getting married and having kids, running a psychology practice, and then finally breaking up after her husband developed a "roving eye." She reported, with calm certainty, "I've done that now, and I don't need to carry on having any regrets." She thought she would try to bring some of her parallel self's gifts in research and writing into a new phase of her present creative life. A woman who made a commitment to service in ministry and chose not to marry, returned to a time when she might have responded to the invitation of a colleague to pursue a romantic relationship. On the alternate life path she chose to track, she made a different choice, pursued the relationship and entered into a loving marriage. She gave birth to a girl and later to a boy. She developed a professional career in counseling on a university campus. She experienced wrenching grief when her husband died leaving her widowed in her mid-forties. She had a sense of the loving care of this man that reached from the other side to her on both life paths. This traveler returned with a deep sense of peace and satisfaction. The alternate life and the one she now inhabited both required courage to navigate challenges. She spoke about a sense of both lives being lived well, and of both offering service and love to others. "Both paths are of great value," she said. "Knowing that, I feel deep peace and satisfaction." Not all the experiences that were reported brought calm and closure. Bravely, one of our travelers returned to the night when she had gone out on a motorbike and suffered a terrible accident that put her in hospital for a long time and left her scarred. What if she had not gone out that night? She found that, on the alternate track that avoided the accident, her marriage still collapsed, and this released her from some of her second-guessing. She also met another self, a double who had made the same choice to go out on the bike but had never gotten herself together after the accident. "I call her the Sad One. She's the one who carries her disability through life as her permanent excuse for not trying and not really living. I thought I'd parted company with her but she's still around and I want to send her away." Part of the secret logic of our lives may be that our paths constantly interweave with those of numberless parallel selves, sometimes converging or even merging, sometimes diverging ever farther. The gifts and failings of these alternate selves - with all the baggage train of their separate lives - may influence us, when our paths converge, in ways that we generally fail to recognize. Yet a sudden afflux of insight or forward-moving energy may be connected with joining up with an alternate and lively self, just as a sour mood of defeat or a series of otherwise inexplicable setbacks may relate to the shadow of a different parallel self, a Sad One or a Dark One. Alternate reality tracking of the kind I have reported here may become alternate reality therapy - worthy of the acronym ART - if we can rise to greater consciousness of who is stepping where in our life gardens of forking paths. Get ready for a new front to open in the Jung Wars. The imminent publication of Jung's Red Book - kept locked in a Swiss bank vault for nearly half a century - will ignite both the admirers and the detractors of the great explorer of the unconscious. In this large, leather-bound volume, begun in 1914, Jung recorded his conversations with Philemon (a daimon who appeared with bull horns and a kingfisher's wings) and his wild adventures in a teeming multiverse of gods and spirits. In his late confessional work Memories, Dreams, Reflections Jung said that it was Philemon "who taught me psychic objectivity, the reality of the psyche...At times he seemed to me quite real, as if he were a real personality. I went walking up and down the garden with him." Through the Red Book, we can enter more deeply into raw experiences of this kind, which its translator suggests are the "nuclear reactor" that powered his later life's work. Some will seize on Jung's dialogues and sermons, embellished with stunning drawings and paintings, as evidence of a giddy descent into madness, or the delusions of a wannabe neo-pagan messiah. Others will handle the Red Book like the codex of a long-lost holy scripture. The translator of the Red Book promises (as reported in the New York Times Magazine) that its publication will "wipe out all the biographies [of Jung], just for starters." A facsimile edition of the Red Book is being published by Norton and the book itself will be on display at the Rubin Museum of Art in lower Manhattan for several months from October 7th. I'm looking forward to examining both, and to learning more about the shamanic depth of experience that fed Jung's work, and his perilous walk along the razor's edge between madness and high creativity. In the meantime, I'm been rereading Jung's collected Letters. He gets better as he gets older and more and more conscious of his mortality, many years after he compiled the Red Book. He rips into patients who insist on maintaining dependency on him or any analyst, and threatens to break with those who won't make a real effort to develop and integrate their dream imagery through active imagination. There's a poignant moment, a month after he nearly died after a heart embolism late in 1946, when he is writing in bed, in pencil, to an English Dominican priest (Victor White) of a dream that gives him hope - a bluish diamond in the sky that is replicated in a quiet round pool. I love the quiet simplicity of that image, free of the stormy complexities of the earlier "confrontation with the unconscious" that he described for the world in Memories, Dreams, Reflections and for himself in the Red Book. The blue glow of a diamond in the sky, replicated in an inviting pool. Picturing this, I find a lovely space opening for imaginal healing, the kind of space many of us could enter and use. We are all patchwork, and so shapeless and diverse in composition that each piece, each moment, plays its own game. And so there is as much difference between us and ourselves as between us and others. One of the gifts of dreaming is that we are introduced to those other pieces of ourselves. Some of them, in our dreams, seem to be living lives quite different from ours, as if they have taken off along roads not taken by our ruling personality in the world of our physical experience. One of the fine arts of personal evolution is to rise to a clearer understanding of our many selves, and make helpful bridges between them, so we can draw on the skills and energy and experience of all of them. This may require us to track the life passages of our parallel selves, those who followed roads not taken in our physical lives - the self who stayed with that former partner, or in that former job, or at that former home, and has been traveling ever since on what (to our waking mind) appears to be a ghost trail. What if it were possible to reach to some of these alternate selves, and share gifts and life experiences with them in mutually supportive ways? At a recent retreat, a group of our frequent fliers agreed to journey back -with the aid of shamanic drumming - to an important crossroads in each of our earlier lives, and to seek to follow the parallel self that made a different choice from what put us where we are now. The assignment was to track this alternate self from that moment of choice all the way up to the present time, make an inventory of what went wrong or right on that other path and then - most importantly - to harvest lessons and gifts from the alternate life trajectory. The results of this journey were amazing, and suggest promising new paths to personal evolution and healing in the multiverse. A beautiful dark-haired younger woman gives birth to a series of islands. Each is the size of a hamlet, with a single road running through the middle and green hills and sandy beaches on either side. The roads may join up, forming a causeway through this little archipelago. This woman fills me with joy and love. My perspective shifts back and forth. I sit talking with her, lightly stroking her hands. There is no sexual feeling here. Rather, I am quietly supporting her, encouraging her to continue the birthing. From time to time, I swoop down in my awareness and examine what is happening in the archipelago that is being born from within her. I did not recognize the mother of the islands in ordinary life. I reflected that are many women in the group I am leading this week. Some are mothers. Many - and this felt quite significant - do not have children and are unlikely or unable to give birth now in a literal sense. They are all keenly interested in giving birth to new things in their lives in another sense. I felt a keen desire to share the abounding energy and joy of this dream with the group. On our first morning together, in view of the gentle waters of the Sound and the lighthouse islands midway in the channel, I recounted the dream and invited the members of our circle to explore it with me, in a group journey powered by drumming. In this shared experience of group dream travel, many of our dreamers were seized with the importance of the fact that the new born islands are literally a string of islands. One dreamer saw them as a string of pearls, another as a necklace of the Goddess. In my own reentry, I saw the causeway between the islands as a kind of rope that kept them linked and safely bobbing together. One of the key things I discovered about my dream islands is that when they come out they are floating. They are not yet rooted in the ocean floor and have not yet taken on definitive and individual form. They are in a state of immense creative malleability, offering extraordinary space to those who will claim it. Surely this is a condition for high creativity - to be able to risk floating out, without stable anchorage, into an unknown sea. Yet in our group dreaming we found that there was strength and buoyancy in the "string" that joins the floating islands, which for some of our voyagers expanded into a web of islands stretching far in all directions. Perhaps this is a service we can rendeer for each other, wherever we are willing to support each other's creative growth and dreams of life: to provide the web of connection that helps everyone to stay afloat as we venture further beyond the maps, across the unknown sea. Many novelists would probably agree that you don't know whether your fiction is working until the characters come alive and run off and do their own thing. Yes, all fiction is to some extent autobiographical. Flaubert said, famously, to someone who asked him about the model for his most famous character, "Madame Bovary, c'est moi". Yet Emma Bovary lives and breathes beyond her author. In coming fully alive, fictional characters can step out of the covers of a book or the frame of a movie or TV screen. I've listened to kids recount fabulous dream adventures in which a hero or villain from a story they were reading carried on through the night, beyond the writer's script. I haven't published a novel for a while, but some of the characters I have created turn up in my own dreams, as if to remind me that they're still around and would like me to spend some time with them. Recently, in a dream I received a message from Feliks Nikolsky, asking me to meet him at a reception in Moscow. 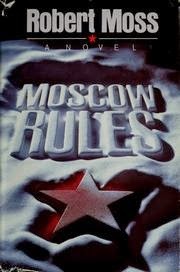 Nikolsky is a character in my spy novel Moscow Rules, first published in 1985. He's a boozy KGB philosopher who works for a wicked crowd but whose heart is really in the right place, and who dies (in my story) trying to overthrow the system. He's literate, funny and pays attention to his dreams. As I say, Nikolsky resurrected himself in my dream. He gave me directions to the building where we would meet, telling me I would know it was the right place if I noticed something funny about the tea. That bit was mysterious until I arrived in the marbled Stalinoid lobby of a huge institutional building where there was an industrial-sized samovar in an alcove. I poured myself a glass of tea, and nearly gagged. The "tea" was lukewarm vodka, only slightly flavored by tea leaves. Nikolsky, ever the trickster, had substituted vodka for water in the tea-maker. I turned and found Feliks himself, grinning at me from the stop of a short flight of wide steps leading up to the main reception area. He was dressed in service uniform, in a double-breasted jacket with red flashes. (I remembered him with the blue flashes of the old KGB, and wondered what outfit he was in now.) Reddish hair, round face, regular features - handsome except that he was pale and puffy from constant drinking. He gave me a big bear-hug and announced he was going to show me his city. "Nalivay! Let's get on with it!" He proceeded to squire me around Moscow. I met artists and restaurateurs, "new capitalists" and old KGB types, mystics and mob bosses. Since this was Russia - and this was Feliks - drinking was required in all these scenes. I woke cheerful, but with the worst hangover I had experienced since 1985 (though apart from my dream, I had little to drink the previous night). I know that many writers meet their characters in dreams. Some writers claim that their characters can even step into the physical world. Alvin Schwartz, famous as the writer for Superman and Batman comics back in the 1950s, claims in a metaphysical memoir (An Unlikely Prophet) that he met Superman in a New York City cab. He relates this experience to prior ones in which he says he encountered a seven-foot tall Tibetan lama who proved to be a tulpa, a being generated by thought that can manifest in the physical world and sometimes gets away from its creator. I don't think I want to meet Nikolsky - or any other characters from my novels - in a city cab, and I think I'll allow a little recovery time before I accept his next invitation to party in Moscow overnight. My dreams have drawn me back into a mythic world that is part of my earliest memories. As a boy, in dreams and in-between states, I sometimes glimpsed a powerful male figure with an elaborately curled beard, crowned with multiple sets of bull's horns, nested above each other. In these sightings, his eyes were closed. I felt he was dreaming or meditating on my life, and wondered what would happen if he ended the dream. I later discovered that his headgear (and beard) were distinctly Mesopotamian. Royals and deities were often depicted wearing crowns of nested bull's horns. Such impressions encouraged and guided my youthful reading on ancient Mesopotamia, the "land between the rivers" (Tigris and Euphrates) that today, unfortunately, is roughly equivalent to Iraq. The baked clay tablets of this area contain the oldest known literature, and it deals with the essential and neverending themes of the human condition, with love and death, with friendship and betrayal, with dreams and the nature and destination of the soul. Dreaming was vitally important to the civilizations of this region, from Sumer on. A dream might need to be "untied", an interesting term for dream work. To "untie" (pasaru) a dream might mean any or all of the following: (1) to tell the dream to another person; (2) for that other person to interpret the dream; (3) to take action - often involving apotropaic ritual - to turn away the "evil" of an unwanted dream. Such rituals might include transferring the energy and imagery of a dream to a piece of clay that could be dissolved by being cast into a river. In the epic of Gilgamesh, we can read of the hero seeking help from his mother, the goddess Nimsun (praised as "the great wild cow") to "untie" a dream in which he is crushed by a shooting star that he then embraces like a wife. She tells him the friend he has longed for is coming into his life - a reading that is fulfilled when Enkidu, his primal double, wrestles with him and then becomes his best buddy. Over the past week, I've been in several dream adventures that have taken me deep inside this territory. I dreamed of a popular novel that had borrowed the story of Innana's descent into the Underworld and placed it in a contemporary setting. This excited me. The myth of how the great goddess Inanna pays a fearsome price for initiation and transformation in the realm of her dark sister, and returns to the surface only to find that her guy has forgotten her, is both wildly shamanic and easy for many of us who are struggling to follow a path with soul in this world - especially women - to understand. Inanna has to pass through seven gates on her descent to the "House of Dust", and pay off the gatekeepers seven times until she is naked, ready to be hung on a hook like a side of beef. A couple of nights after my dream of a new book of Inanna, I found myself on a complicated dream journey, full of unexpected turns, in which I had to abandon my car and then carried it on my shoulder with a giant's strength I had not known I possessed. Then I entered a kind of pilot house and found myself looking down from a gallery over seven levels of the Underworld. When I left this scene, I announced to friends that I would return to collect a book manuscript that was waiting for me there. I'm used to accepting research assignments set for me by the wanderings of my dream self. I pulled down essential books from my shelves, including Diane Wolkstein's beautiful rendering of the Inanna cycle (Inanna, Queen of Heaven and Earth) based on the scholarly work of Samuel Noah Kramer, and John Gardner's version (with John Maier) of Gilgamesh, based on scholarly translations of the "standard" version from the library of Ashurbanipal in Nineveh. I was reminded, rereading the introduction to Gilgamesh, that John Gardner had also been seized by Mesopotamian myths early in his creative life. 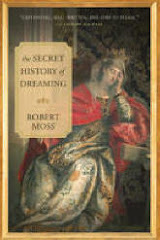 He was fired up, as I was, by the intricate and dedicated scholarship of A. Leo Oppenheim, most accessible in his book Ancient Mesopotamia and his important monograph, The Interpretation of Dreams in the Ancient Near East, which I have kept near my desk for over two decades. In 1972, a decade before working on Gilgamesh, Gardner published a remarkable philosophical novel, The Sunlight Dialogues - which he once described as "a loose, baggy monster" - in which a crazy man discourses on the Mesopotamian world-view to a reflective police chief in the small town of Batavia in western New York where Gardner grew up. I went into Dove & Hudson, my favorite used bookstore, yesterday to see if I could find a copy of The Sunlight Dialogues. As soon as I headed into the Literature section, a copy of the novel greeted me, lying face up on a pile in front of the shelves. I carried it to Dan, the owner. "Did this just come in? Looked like it was waiting for me." "Just came in," Dan nodded. "Couldn't find room for it on the shelf so I left it out where you found it." I remarked that the shelf elf was in play. "Don't go riding any motorbikes," Dan called after me. That brought a little shiver. In 1982 John Gardner died in a motorcycle accident (in Susquehanna, Pennsylvania) just after completing his work on Gilgamesh and just before his (third) wedding. The Gilgamesh epic is the story of a magnificent failure to overcome Death. The manner of John Gardner's death, crushed and bleeding on the ground, eerily echoed a tragic incident from his boyhood that shadowed his life and hounded him through nightmares. As a teenager, working on his father's farm in western New York, Garder allowed his six-year-old brother Gil to ride on the bar at the back of the big tractor. Gil slipped from the bar, and fell between the tractor and the huge cultivator it was hauling, three tons of churning metal rollers. As he later told it, John Gardner did not apply the brakes, deciding his brother would be better off dead than horribly mangled. Gardner rarely applied the brakes in his later, wildly creative and wildly reckless life, as if defying Death to take him. Death waited until, aged 49, he had delivered the most readable version we have of the world's oldest literary account of why Death is inescapable for human flesh.